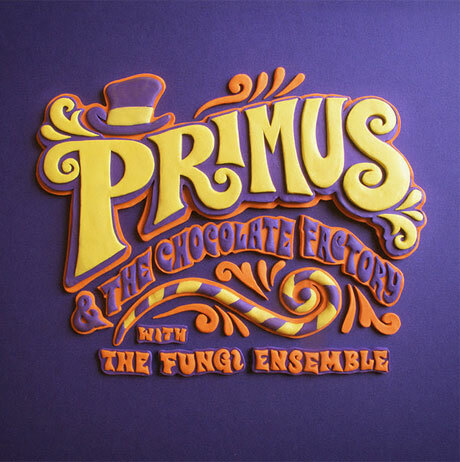 Still wonky after these years, Primus are about to please devotees of both funk rock and children's musicals with their Willy Wonka-saluting Primus & the Chocolate Factory. Before dropping their candy-coated devotional on October 21 through ATO, though, Les Claypool and the rest of the crew are gifting us a preview of their "Golden Ticket." The redo of the soundtrack number has Primus and their Fungi Ensemble working through a "Welcome to This World"-styled arrangement of slippery guitar, melted chocolate-thick bass work and a sucrose-sweet buzz of marimba, vibraphone and whistling. Claypool, meanwhile, channels Grandpa Joe as he gets ready to go on a sugar bender. You can hear the sweetened but spooky cover down below.